As Kim Jong-un’s regime charges forth with North Korea’s ballistic missile and nuclear weapons programs, the foreign ministries of China and Russia have drawn attention to supposed destabilizing actions south of the 38th parallel, including the U.S. deployment of the Terminal High Altitude Area Defense (THAAD) system. As the argument goes, THAAD increases tension in an already fraught situation on the Korean peninsula and encourages escalation by all parties involved. However, this claim disingenuously disregards the escalation already occurring in the Asia-Pacific and belies the reality that THAAD will actually bring greater stability to the region. Proponents of a stable Asia-Pacific should welcome THAAD, not reject it. Inherently defensive in nature, THAAD consists of a truck-mounted launcher capable of carrying eight interceptors, an Army-Navy/Transportable Radar Surveillance (AN/TPY-2) unit, and a fire control unit that manages data and communications. As the ‘T’ in THAAD indicates, this system counters ballistic missiles in the terminal phase of their trajectory. Once a threat is detected by the AN/TPY-2, the fire control unit relays information about the missile’s trajectory and launches a heat-seeking, non-explosive interceptor to destroy the incoming projectile via kinetic energy. What Armstrong’s critique misses and Guoqiang’s assertion ignores, however, is that the AN/TPY-2 is likely to be primarily operated in “terminal” mode given THAAD’s role in intercepting missiles on their terminal phase. In this mode, it is unlikely THAAD can reach Chinese territory—a fact that the U.S. has attempted to make clear in technical briefings that Chinese officials have repeatedly refused to receive. In addition to misrepresenting THAAD’s capabilities, critics decrying THAAD’s role in escalation ignore China’s efforts to advance its military capabilities began long before THAAD made its way to the Korean peninsula. 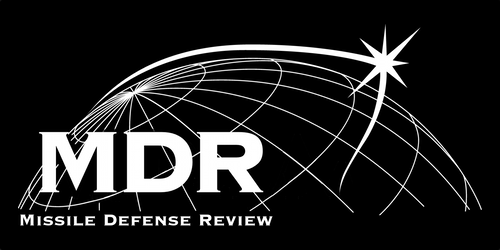 As early as 2006, the U.S. Department of Defense (DOD) Quadrennial Defense Review (QDR) observed, “China continues to invest heavily in its military, particularly in its strategic arsenal and capabilities designed to improve its ability to project power beyond its borders.” Again, in its 2010 QDR, the DOD noted, “China is developing and fielding large numbers of advanced medium-range ballistic and cruise missiles, new attack submarines equipped with advanced weapons, increasingly capable long-range air defense systems, electronic warfare and computer network attack capabilities, advanced fighter aircraft, and counter-space systems.” More recently, China’s militarization of contested island chains in the South China Sea makes clear that its actions have already upset the strategic balance in the Asia-Pacific. Regarding Russia’s views, both its ambassador to the Republic of Korea (ROK), Aleksandr Timonin, and Defense Minister Anatoly Antonov have expressed objections to THAAD’s deployment. The two have claimed that THAAD will escalate tensions and may even be used to spy on Russian troop movements within its borders. To be fair, experts at the Johns Hopkins School of Advanced International Studies 38 North project have stated that, as of current plans for the system’s deployment, THAAD’s AN/TPY-2 radar coverage will envelop the entirety of Russia’s Primorsky Krai region, which includes the strategically vital port at Vladivostok, and a portion of Khabarovski Krai further north. However, it is important to remember that Russia has disregarded similar objections regarding its aggressive posture in Eastern Europe. The Baltic States in particular are completely engulfed by Russian anti-access/area denial systems and routinely experience blatantly hostile airspace incursions by Russian fighter aircraft. By contrast, the U.S. deployment of THAAD on the Korean peninsula is explicitly defensive. And again, Russia will be unaffected when the AN/TPY-2 is in its terminal mode. The most legitimate objections to THAAD have come from the ROK itself. Protest groups, such as the Seongju Struggle Committee to Stop THAAD Deployment, claim that THAAD’s deployment may harm the environment and will escalate military tensions on the Korean peninsula. Ironically, these same protestors have established roadblocks in an attempt to prevent environmental testing equipment from reaching deployment sites. To ease tensions and promote understanding, Bonnie S. Glaser, Daniel G. Sofio, and David A. Parker of the Center for Strategic and International Studies have argued “the United States should continue to seek to try to assuage Beijing’s concerns about THAAD by [again] offering to give Chinese officials technical briefings on the system’s capabilities.” Cooler rhetoric from all parties involved would also prove beneficial. Rather than sullying “its international reputation” and risking that “neighboring states may increasingly see China as a threat” if it continues to strong-arm Seoul, as Lee Hee Ok of Sungkyunkwan University has warned could happen, Beijing should recognize the ROK’s need for protection from the North’s growing missile capabilities. With these tensions resolved, the ROK can focus on expanding its trading relationship with China, already China’s fourth largest. Likewise, other Asia-Pacific nations may see China’s acceptance of THAAD as a sign of the nation’s magnanimity, and thus be more willing to embrace the presently-faltering Regional Comprehensive Economic Partnership being touted by China. Instead of allowing THAAD to separate China from its neighbors, Beijing can actually use THAAD to bring Pacific nations together through diplomacy and economic cooperation. In other words, the ongoing THAAD deployment is a potential win for all parties involved. Everyone not named Kim Jong-un should welcome it with arms wide open. —Collin Meisel is a Major General John G. Rossi Military Fellow at the Missile Defense Advocacy Alliance, and a McCourt Scholar and Master of Public Policy candidate at Georgetown University’s McCourt School of Public Policy. Follow him on Twitter @collinmeisel. This entry was posted in Asia, International Relations and tagged AN/TPY-2, China, Russia, South Korea, THAAD. Bookmark the permalink. ← Stopping the Unstoppable—How will the U.S. Defeat Missiles of the Future?